I’m a bit disorganised this year, and yesterday suddenly realised that I had not bought cards for the children to give their Dad, and each other. We pulled out the craft box and created these. 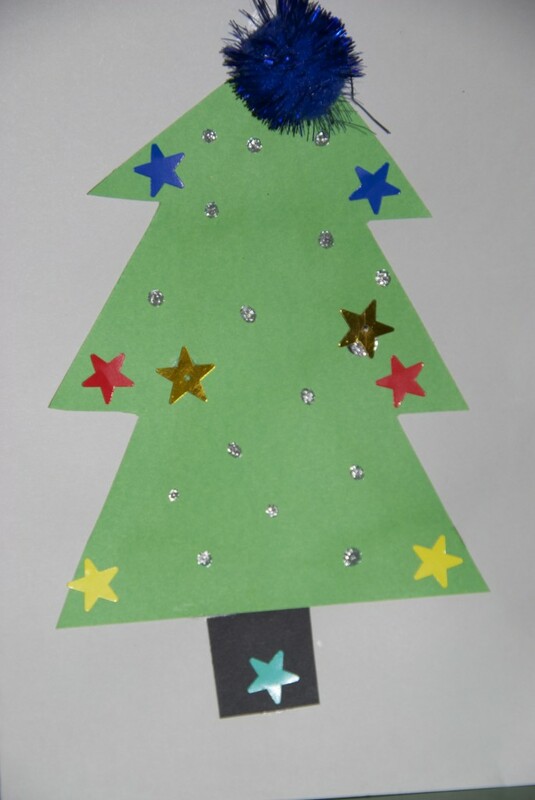 I cut out the Christmas tree shape and all three children decorated the tree. Z got a bit upset about the bit of silver glitter glue under one of the stars. He is a bit of perfectionist. A Christmas Tree for Daddy. A snowman for Baby H. We used half pom poms to make his body, and pipe cleaners for his scarf and mouth. Aaah they’re lovely! I love the children’s home made cards! Have a lovely Christmas! Oooh what cute cards – I love the pompom snowman! And what an ADORABLE photo of your little girl. Love it! 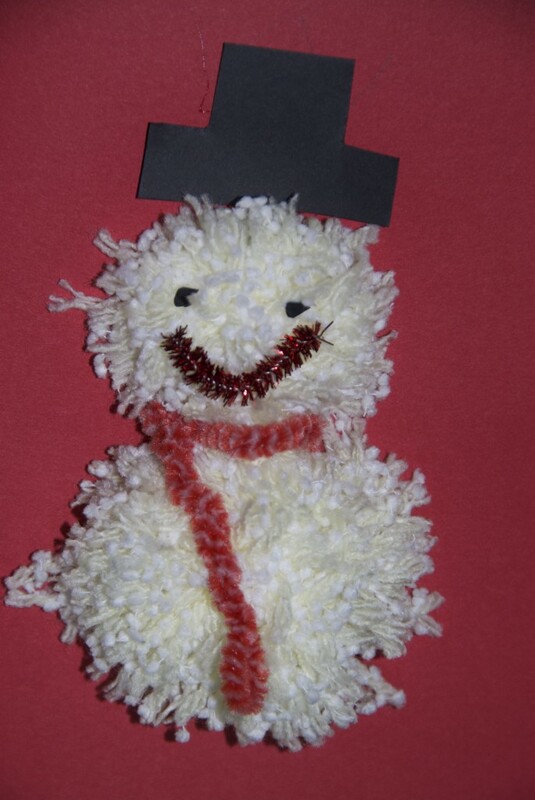 love the pom-pom snowman, looks fab! Thank you, I love th pom poms too! 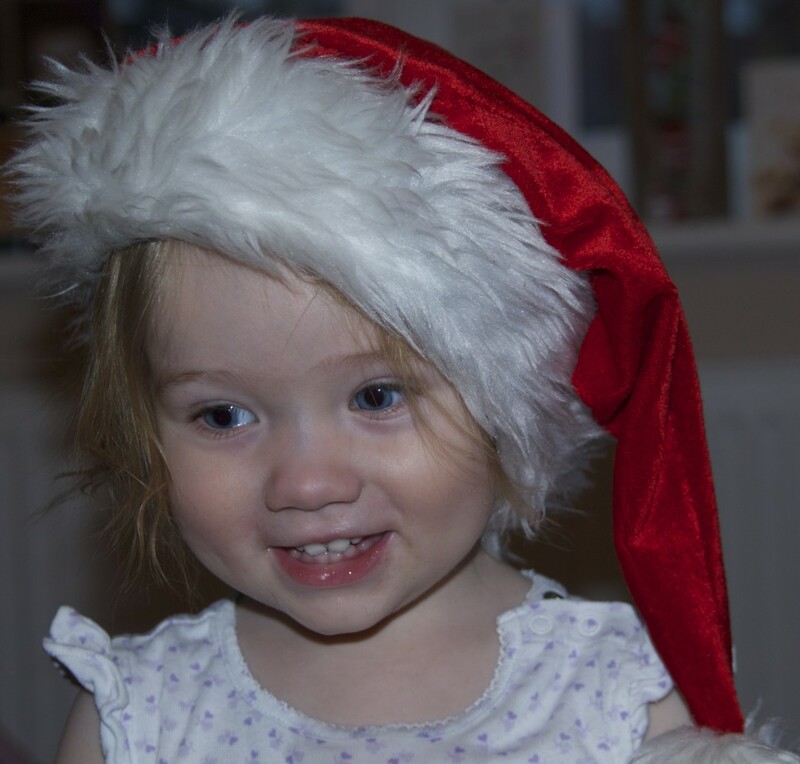 “Last minute easy Christmas cards – Mummy.